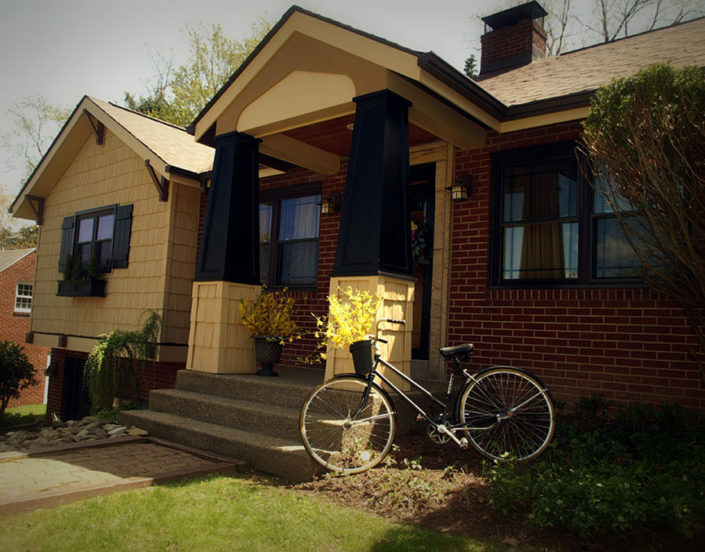 Many Pittsburgh neighborhoods include rows of identical houses that lack character to distinguish one from the next. 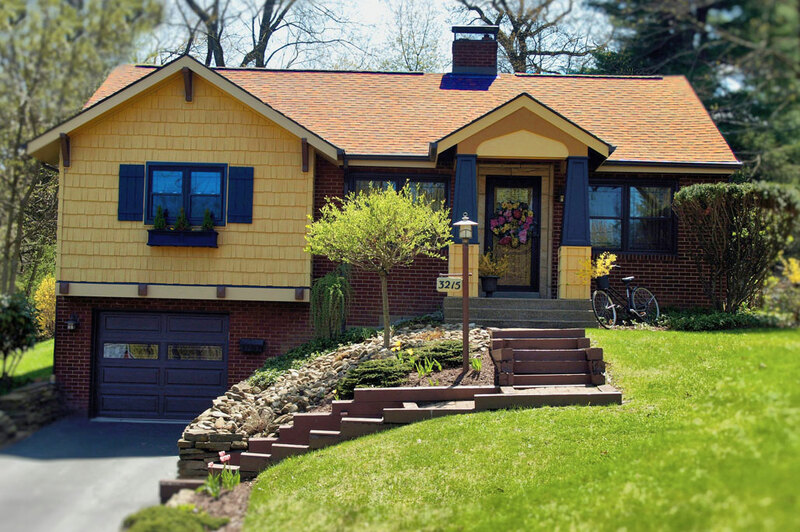 Built in the 1950s, this home was similar to many of its neighbors: a standard brick single-story with a garage and basement underneath. The homeowner wanted to stand out while fitting into the neighborhood, demonstrating the unique personality of the home while maintaining its classic look. This was accomplished by adding a porch and craftsman-style detail work. The narrow siding was exchanged for broad plank siding. 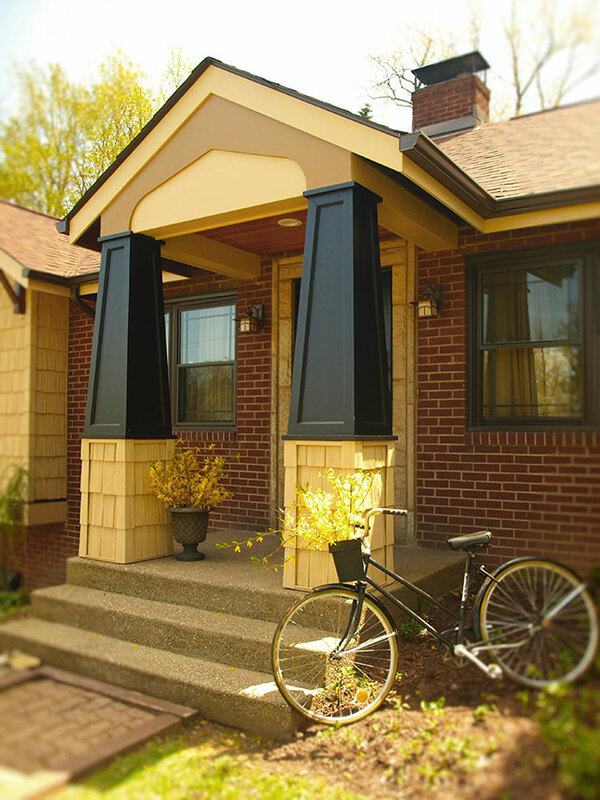 Thick, tapered columns support the porch roof, adding character.